Unless there is urgent intervention, experts have warned that Nigeria may be building a nation of drug addicts. This is not unconnected with latest reports which show that 3 million bottles of codeine are consumed daily in Kano and Jigawa States. 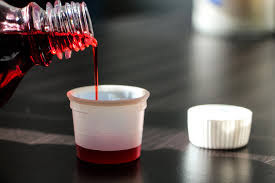 Even the National Agency for Food and Drug Administration of Nigeria, NAFDAC, has expressed worry over uncontrolled use of codeine containing cough syrups across the country. Also just last week, the Medical Director, Psychiatric Hospital, Yaba, Lagos, Dr. Oluyemisi Ogun, had confirmed a sharp increase in the number of patients with drug-related cases seen at the hospital in recent times. The Way Forward in Nigeria”, said although the threat of communicable disorders was evident, the nation ought to be more worried about non-communicable disorders like drug abuse. “We are talking about communicable diseases, but we have another epidemic on hand, which is the issue of drug abuse. We are seeing more and more of this and it is a menace. I would urge that attention be drawn to it urgently. “There is no family now that is not affected. In her submission, a Deputy Director of the National Agency for Food and Drug Administration of Nigeria, NAFDAC, Mrs Abayomi Bolaji who spoke on behalf of the Director General, Prof Mojisola Adeyeye raised alarm over the spate of abuse of codeine containing cough syrups. Bolaji lamented that the Agency was worried about the incessant abuse of codeine in recent times. Bolaji said NAFDAC goes as far as collating the stock from the warehouses, manufacturing facilities, and takes stock of what the importer has used and imported to produce and follow up distribution. “But unfortunately, we know people cut corners. Codeine containing syrups are not supposed to be freely sold, they are not Over-the-Counter drugs but somehow they get into the hands of people through the pharmacies or Patent medicine dealers, but it is part of our regulatory functions to control the circulation and importation of these drugs. “If peradventure a manufacturer cannot give account of the quantity that he was given permit to import, he is heavily sanctioned and may not be given permission to import next time. Because of the education of the pharmacists they cooperate but the patent medicine dealers y are the ones selling at night, and we cannot get them when we go during the day time.